Explore the history and wonder of John Boyd Thacher State Park. 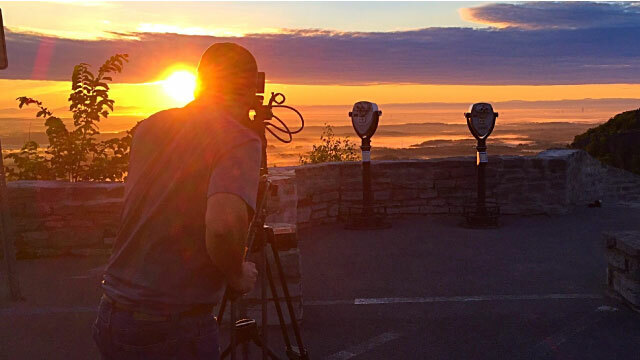 This documentary explores the wonder of Thacher Park from never before seen perspectives and ask challenging questions about land use, conservation and historic preservation. New York’s John Boyd Thacher State Park in the Helderberg Mountains has inspired visitors for generations. The park resonates with natural beauty. It is a place of both wonder and discovery. Its over 2100 acres contain spectacular 1200 foot limestone cliffs formed over 100 million years ago, yielding dramatic views, subterranean caves, waterfalls, fossils, and miles of trails. The park also resonates with human history. Native Americans trails traversed the cliffs, the caves were a refuge for British loyalists during the American Revolution, in the 1800’s it was the site of the anti-rent wars, and was a key locale in the burgeoning new science of geology. Premieres Wednesday, December 2 at 7:30pm on WMHT-TV.